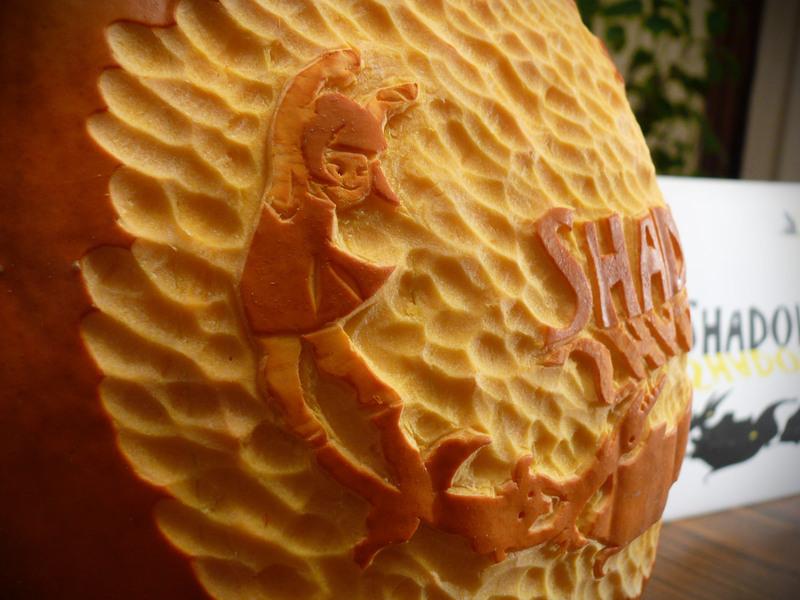 I carved my pumpkin this week! I don’t really get into the whole Halloween thing, but I do love carving pumpkins. I also love children’s books (especially artistic ones) so I decided to combine the two. 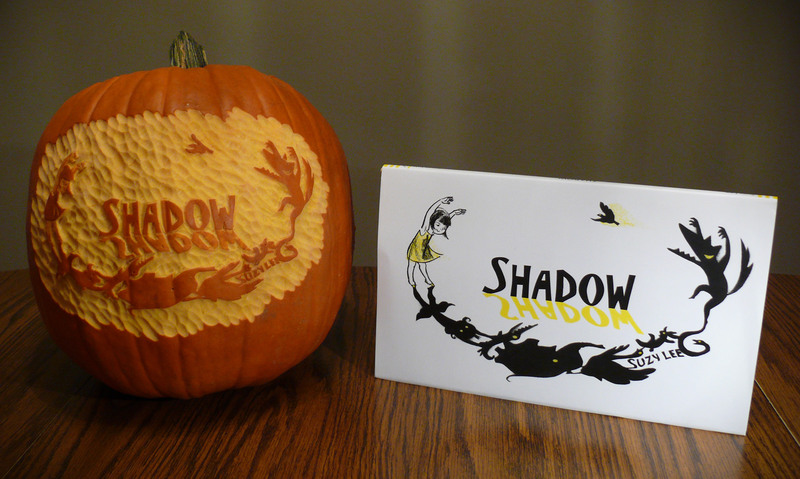 Suzy Lee is my favorite wordless book author/illustrator and so I decided to use the cover for Shadow on my pumpkin. My grandpa gave me a woodcarving set way back when and the tools work great for carving pumpkins!